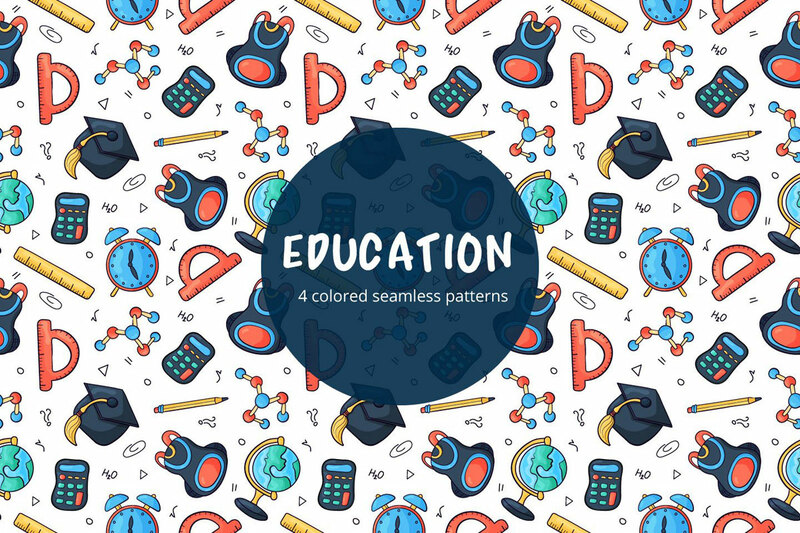 Free Education Vector Seamless Pattern is an excellent set of graphics. It will be useful for designers in creating such things as notebooks, diaries, notepads, school backpacks and much more. You can also use it to design themed blogs, mobile apps and websites. You can use these for personal and commercial purposes.